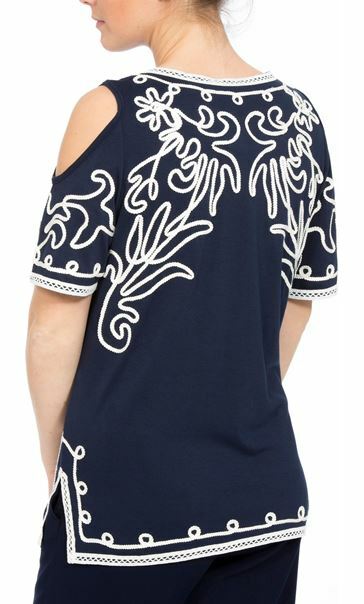 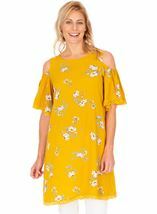 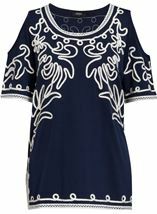 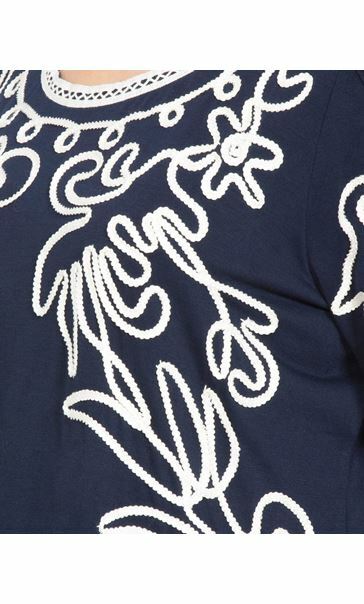 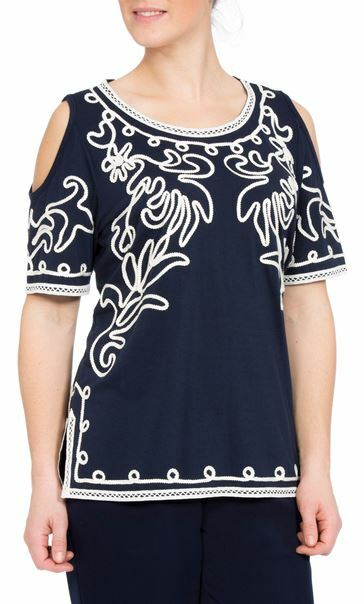 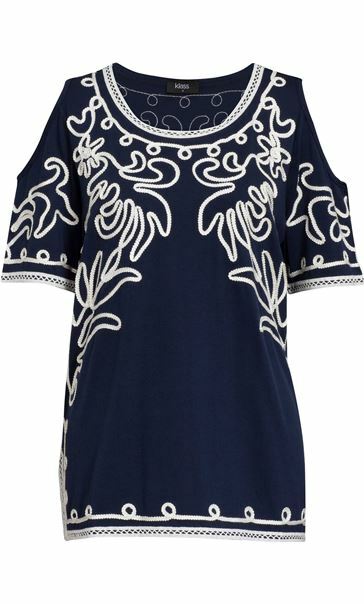 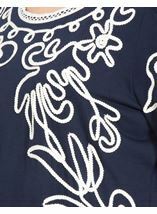 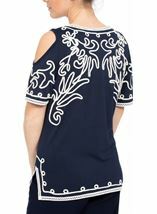 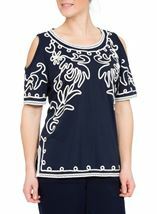 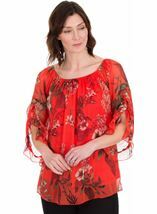 Navy loose fitting top crafted in a soft fabric, boasting short cold shoulder sleeves, round neckline, split detailing to the hemline and finished with statement ivory tape work design. 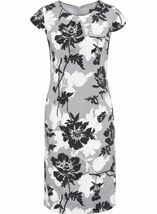 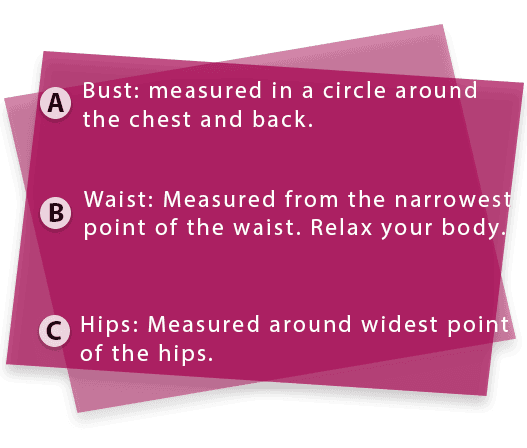 Team with smart trousers and heels to complete your look. 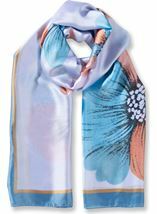 Back length 71cms.